Natural stone or engineered quartz countertops? Quartz vs granite, granite vs quartz, the defendants of each side on this debate have very strong arguments and aren’t likely to back down because they love their countertops and are perfectly happy with them. 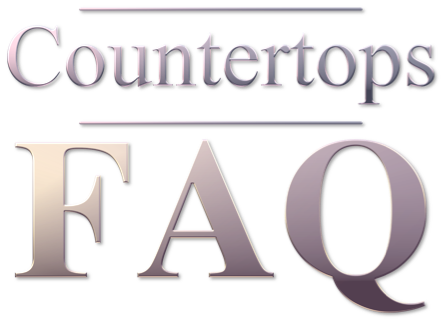 The truth is, there is no absolute winner here and both types of countertops are durable and worthy investments, but learning about the differences between quartz and granite countertops is the best way to make an informed decision. Granite countertops are quarried as a single slab of stone from nature, which are then cut into smaller chunks for use in kitchens. As such, granite is a natural stone and each slab will be totally unique: your granite countertops won’t look exactly like anybody else’s, because each individual slab of granite is its own. This also means a fair bit of digging in order to find the perfect granite slab for your kitchen, but at the same time granite countertops are an all natural product. Quartz countertops, on the other hand, are made with crushed quartz mixed with resin, in a ratio of around 93% quartz to 7% resin. They are man-made, which means the variety of colours and patterns is endless. This also means that the countertop you see on the catalog can be easily replicated on your own kitchen, so if you are after a very particular look quartz countertops are more predictable. In order to decide which one is better for your kitchen upgrade project, we will compare granite vs quartz countertops based on three different criteria: aesthetics, durability and cost. Granite is a natural stone, quarried from the Earth. As such, each slab will be different, and they will be irregular. If you have large countertops, the veins and colour variances will be noticeable from one end of the slab to the other. In fact, the samples you get at the store will most likely be different from the end slab you get installed.This gives granite a natural, even rustic look, that always looks luxurious and solid. Granite countertops have a very organic feel. On the other hand, engineered quartz is man made which means you can get quartz countertops in a variety of colours and patterns, with the security of knowing that whatever you see on the catalog you will have delivered. If you know exactly how your kitchen should look, then you would be safer choosing quartz. The same goes if you want a colour that is not naturally present in nature, such as purple or red. Quartz countertops are more uniform and versatile in terms of patterns and colours. Regarding seams, you just can’t hide them on a granite countertop whereas, depending on the colour of the worktop and the pattern, they can be made almost invisible on a quartz countertop. However, many people who install granite worktops absolutely love them, seams and all, because it all ads to that organic, natural feel. In terms of beauty, both quartz and granite offer endless possibilities to make your kitchen perfect, so you will need to choose based on your personal preferences. Both granite and quartz countertops can last for a lifetime, so in terms of durability they are both an investment worth making. They are both very strong stones that can withstand accidents such as a dish dropping on them without chipping. Quartz is more flexible so it’s less likely to bend and crack but at the same time granite is lighter so it can work on weaker worktop supports. Granite is a porous stone, so in order to be used to make countertops it needs to be sealed. Otherwise it would soon become stained and lose its beautiful looks. Most people reseal their granite countertops yearly or every two years, because otherwise the stain resistance fades and you risk a glass of wine spilling into an expensive to fix mess. However, unless you are unlucky and get a stain your granite countertops will look the same for decades. Quartz is totally non-porous, and as such it’s 100% stain resistant. You won’t need to worry about re-sealing or anything staining them… however they will be affected by UV rays. Direct sunlight will affect the colour of Quartz countertops so the areas near windows or under direct sunlight will over time look different than the areas on the shade. With proper care, and unless your kitchen has no direct sunlight, we can say that granite countertops are more durable than quartz. However, you will need to keep up with yearly maintenance and be careful when cleaning your granite countertops so the sealant doesn’t deteriorate. The cost of granite countertops depends a lot on which slab of granite catches your fancy. You can find granite countertops for as low as $60 per square meter, but on the other hand the prices only go higher from there. If you have a large kitchen you will need to pay an extra because a much larger slab of granite will need to be quarried and transported. Thinner granite stones are weaker but cheaper as well, whereas a thicker slab of higher quality granite can be significantly more expensive. It will also depend on the manufacturer: the cost of luxury quartz brand Silestone vs granite can vary greatly depending on the quality and thickness chosen. The cost of quartz countertops is generally between $60 and $75 per square meter, but the cost per feet won’t change so much depending on the amount of stone you need. Quartz makes is easier to budget for, because you won’t suddenly fall in love with a slab that is too exotic or unique and really pricey. High quality quartz worktops will be usually cheaper than granite, but the lower end of granite worktops can be more affordable. Overall granite countertops are more expensive than quartz countertops but not by much and not always. In terms of installation, both types of countertops need professional installation services. So the costs are similar in this regard. Those countertops are very expensive and need to be installed correctly so they don’t start cracking due to the weight being distributed incorrectly. Granite worktops need to be resealed every year or two, which ads to the costs. The best way to decide between quartz and granite worktops is to look at what is affordable within your budget and stick to whatever material offers you best value. There is something about granite and owning a unique piece of Nature in your kitchen that has made granite countertops into a bit of a status symbol since the 90s. While quartz countertops can be beautiful, granite has that old world luxury that people are willing to pay a premium for. People ask real estate agents for a house with granite countertops, not one with laminate, and you can usually recoup your investment in the form of equity. On the other hand, eco-conscious buyers may prefer a kitchen with quartz countertops because they are man-made, and not something quarried away often at a cost to the environment. Rumours that granite countertops can be radioactive based on the fact that granite can have some radon in very low levels didn’t help its popularity with the health conscious crowd. If you are thinking of selling, it may be worth considering the kind of people who would like to move to your area. The best way to choose between quartz and granite countertops is to look at which type of stone you can afford that creates the right look in your kitchen. While there are differences in terms of price and durability, both are sensible choices that will increase the equity on your home, and people absolutely LOVE their quartz and granite countertops. There is no outright winner in the battle of granite vs quartz, so you will need to be your own judge once you have all the facts on the table.